NEWS RELEASE FOR IMMEDIATE RELEASE BioNova Names 2018 BioInnovation Challenge (BIC) Semi-Finalists August 29, 2018 – Halifax, Nova Scotia – Eight (8) semi-finalists have been chosen to compete in the BioInnovation Challenge (BIC), BioNova’s regional health and life sciences business competition, which will be held in Halifax on November 7th during BioPort 2018 at the Halifax Convention Centre. BIC is one of the longest running business competitions in the region with over 50 companies having gone through the program since 2011. The competition has supported the growth and innovation of past winners such as New Brunswick-based Pfera Inc., along with Spring Loaded Technology, ABK BioMedical and Covina Biomedical from Nova Scotia. “A strong and vibrant economy in our region requires continuous innovation and BIC has become a key program to support that,” said Scott Moffitt, Managing Director of BioNova. “Many of the companies coming out of the program have gone on to raise millions to grow and scale.” This year’s semi-finalists will receive significant training to be positioned for business growth, including sessions with expert pitch training coach Linda Plano, who has over ten years of experience mentoring entrepreneurs with start-ups in life sciences. This year’s winner will receive $25,000 in funding to develop their business idea as well as a package of support services and mentoring valued at more than $30,000. Read more about the eight (8) semi-finalists below: Coloursmith Labs – Direct-to-consumer contact lenses that work as the world’s first practical solution to colour blindness. Unified Health – New models designed to ease the strain on the emergency system while reducing healthcare costs and bringing better patient outcomes. Talem Health Analytics – Software for healthcare professionals to track, analyze and predict treatment regimens for people in motor vehicle accidents. Picomole – A painless, accurate, and versatile diagnostic breath test to detect early stage lung cancer. BioHuntress – A natural treatment for blood cancer that brings a better patient experience. Neuro Amel Technologies – A frameless, automated brace that uses electrical stimulation to improve mobility for stroke patients. Macro Movements – Software that gives feedback on movement to prevent injury. 3F Waste Recovery – Turns waste problems in the fishery, farming and forestry industries into profitable solutions. BIC 2018 is presented by BioNova in partnership with the Atlantic Canada Opportunities Agency, BioNB, Emergence, DalhousieUniversity Industry Liaison and Innovation, Springboard Atlantic, Jennifer Cameron PR, PWC, Cox & Palmer, Bereskin & Parr, Archway Insurance, and Grant Thornton. BIC 2018 will take place over two days in November. The eight (8) semi-finalists will present to a panel of judges and the conference audience at BioPort, BioNova’s annual conference, on November 7th. The top three presenters will then pitch the following morning. The winner will be announced at the close of BioPort 2018 on the afternoon of November 8th. 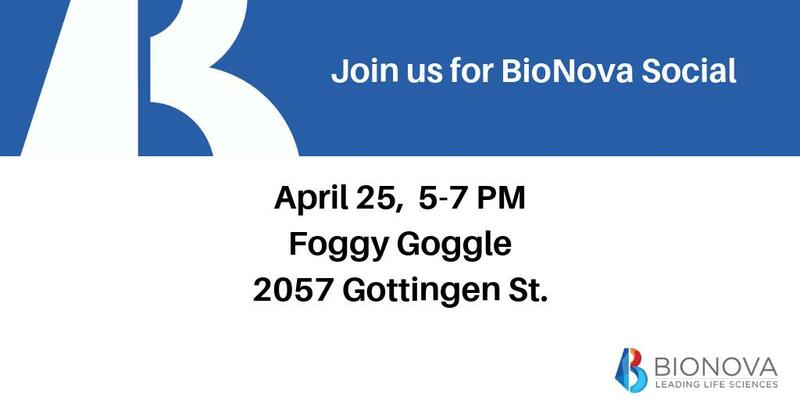 About BioNova: BioNova leads, accelerates, and advocates for Nova Scotia’s growing health and life sciences sector. Since 1993, BioNova has been accelerating the growth of its member companies. By hosting networking and educational events, and providing connections to potential funders and business resources, BioNova helps companies succeed. While these companies commercialize life-changing research to improve healthcare, provide healthier food, and develop sustainable solutions, BioNova advocates on behalf of the sector. BioNova champions the sector’s cluster of world-class research facilities, incubator programs, and companies who, together, bring investment and jobs to Nova Scotia. About BioPort 2018: BioPort 2018 will take place at the Halifax Convention Centre on November 7 and 8. BioPort provides a forum to educate, inform and inspire the health and life sciences community to develop their ideas, commercialize their technologies and build links within the region and with guests brought in from the U.S. and from around the world. -30- For further information, media may contact: Shana Cristoferi Marketing Manager, BioNova 902-421-5705 scristoferi@bionova.ca Click here to download the BIC, BioPort, and BioNova Logos.